The SGS range of 1-25 ton mechanical jaw pullers is designed for use on bearings, gears and press-fitted parts. With such a wide choice of jaw puller capacities, you’ll be easily able to choose the puller with the most appropriate spread and reach - these dimensions must be greater than those of the job. 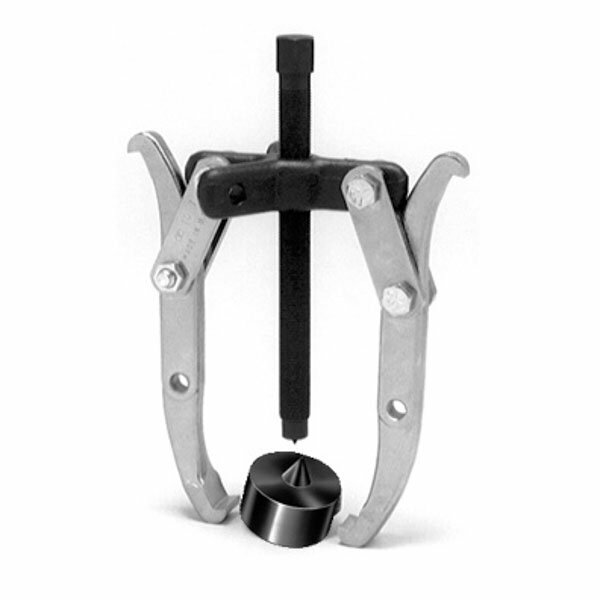 Whether it’s a 3 jaw puller or a 2 jaw puller, you can count on excellent results. What’s more, those which feature Power Team’s Grip-O-Matic design will provide an extra hard pull and a tight grip that will help you get your jobs done much quicker. Any of our mechanical jaw pullers though are ideal for gripping and removing a myriad of press-fitted parts, particularly gears and bearings. You can choose from 2-way, 3-way and 2/3-way combination pullers and each has gone through meticulous testing above and beyond the puller’s rated capacity to ensure they are sturdy and built to stand up to even the toughest working environments. As well as this, they feature forged alloy steel heads for optimum strength and many come with stronger, longer machined puller jaw toes, rolled (not cut) forcing screw threads, and heat-treated alloy steel bolts to facilitate maximum shear strength. To find out more about anything from our reversible jaw pullers, to which of our 2 jaw pullers or 3 jaw gear pullers are the best solution for you, don’t hesitate to get in touch. Our team will be happy to tell you everything you need to know to get the right jaw puller tool for your needs. Alternatively, browse our listings and place your order today and we’ll have your mechanical jaw puller with you in next to no time.